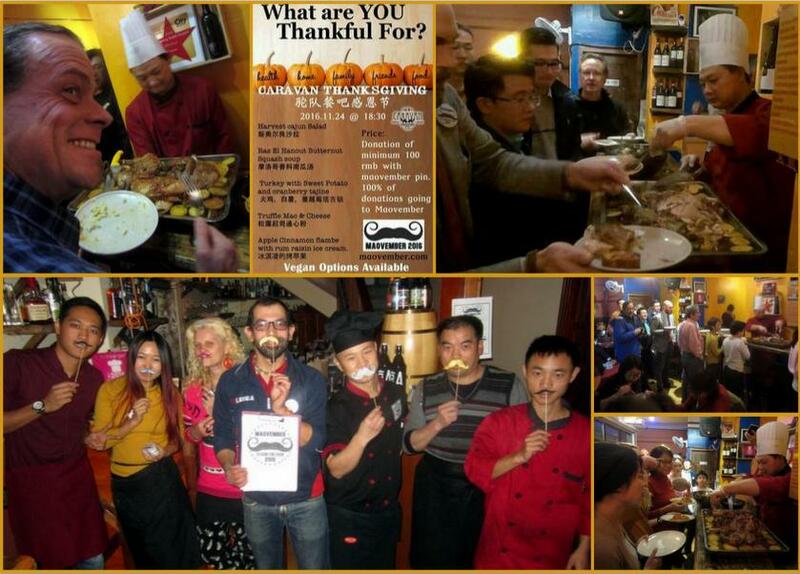 Moroccan restaurant Caravan put a special twist on this year’s U.S. Thanksgiving dinner celebrations in Beijing with a meal to support Maovember. With a buffet that included cajun salad, truffle macaroni and cheese, turkey with sweet potato and cranberry tajine, and more, people ate until they were, ahem, stuffed. Each attendee bought a Maovember pin for rmb50 and was asked for a minimum donation of rmb100 for the meal. In the end, rmb3600 was raised from donations and rmb2500 from pins, for a total of rmb6100 or 61,000 mao!